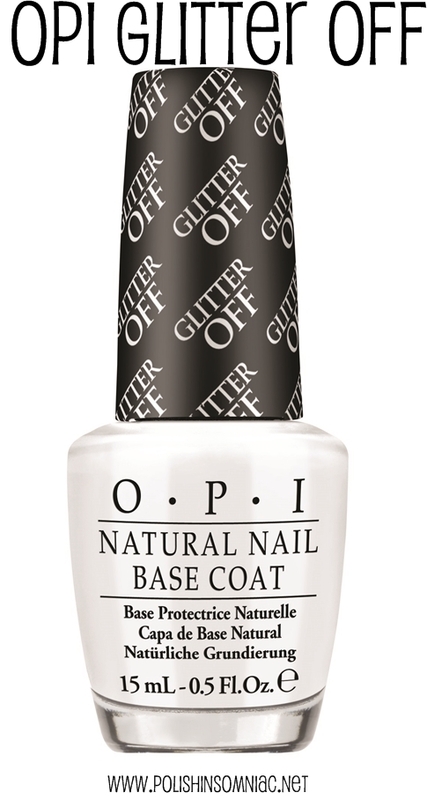 polish insomniac: Coming Soon - OPI Glitter Off! I am the first to admit that I want products like these to work. I never managed to try the DIY version with Elmer’s Glue, but I did buy one off Etsy and it didn’t work at all. As in my nail polish popped off within a couple hours of applying, just like a bad press-on nail! I am very eager to see if this one is different!